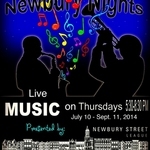 Every Thursday night on Newbury, the streets are alive with the sounds of smooth jazz. 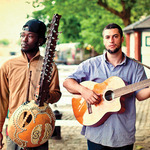 Newbury Nights, presented by the Newbury Street League, is a seasonal series of live dinner shows at some of the neighborhood’s finest restaurants, and is a rare treat for the feast. It’s not easy to get a live music permit from the City of Boston, so Newbury Nights is a special occasion this time of year. Put on your finest pair of dancing shoes, grab a glass of champagne and join in on one of the largest Bastille Day bashes in the United States. The French Cultural Center’s Bastille Day Party celebrates the French people’s uprising against the monarchy and storming of the Bastille prison during the French Revolution.